Those who work on behalf of environmental groups and organizations often have to cross wetlands with vehicles and other heavy equipment to address spills or engage in restoration. 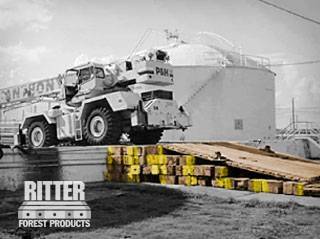 Ritter Forest Products can make this process easier by providing hardwood timber ground mats sales and rentals for environmental contractors to use in swamps, marshes, and environmental disasters. Driving heavy equipment over wetlands and sensitive areas can destroy the very environment you are trying to protect. 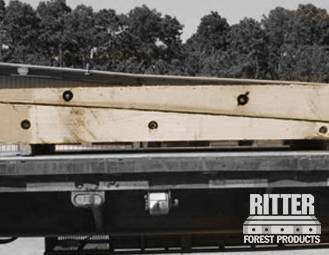 Ritter Forest Products can provide mat rentals for conservation preservation and environmental contractors who want to get in and do their work without causing any additional harm. At Ritter Forest Products, we have both new and used mats for sale for swampland and marshes. Our wooden mats create temporary roads for environmental contractors to safely work in swamps, marshes, and areas where environmental disasters have occurred, and can be placed over any terrain to make it more manageable to maneuver through. When conducting hauling or forwarding operations in wetlands, it’s important for you to use mats that will protect the land while also providing you access to it. 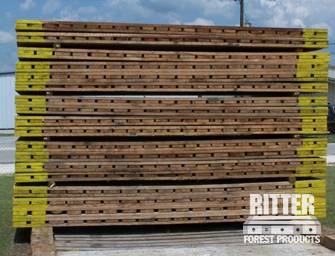 Ritter Forest Products has swamp and marsh mats made from sawn hardwoods that are cabled together and placed on top of non-woven geotextile. This will allow you to get deep into wetlands without doing any unnecessary damage. Our hauling or forwarding mats for wetland protection are an ideal solution to a potential problem. 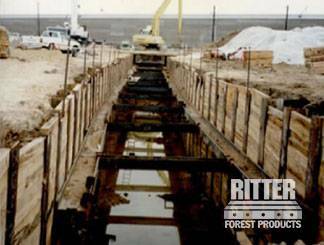 For more information about the temporary hardwood roads and wooden mats for swamps, marshes, and environmental disasters that Ritter Forest Products can provide, Get in touch with us today.